So pretty!! Yes, the saying screams my name too, I just wish I could just do that "only" . Muy linda tarjeta me encanto la forma que le diste!!! Felicitaciones!!! Tee hee...you've got that right! Love the sentiment; love your coffee shaped card! And now, I'm going to do just that....sip on some coffee and craft! Awesome showcase, indeed! Original y simpática tarjeta! Me encanta! This is awesome! LOVE this sentiment & it's oh so true! Que bonita card y con unos papelitos muy lucidores. Asi si que se me antoja un café, te quedo hermoso. Ty so much Tiffani... I love making coffee cards/gift card holders! Me too ! Love all the sentiments on these stamp sets. Love the colors on the card, so bright . I love the new coffee stamps! Sweet card! 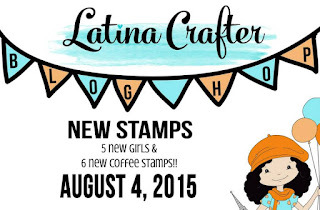 Coffee lovers and crafters everywhere will love these new sets. Who doesn't love coffee. Beautiful project. 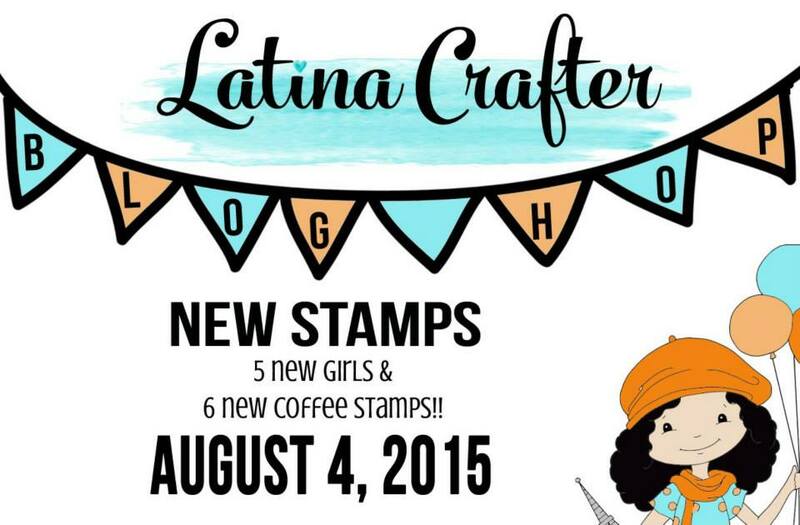 Ty Nancy♡ Are you joining us for Coffee & Crafts tissue Sat 8/8 at the prima warehouse? Lovely project,it's so sweet,cool and creative! It's fabulous! Love it! 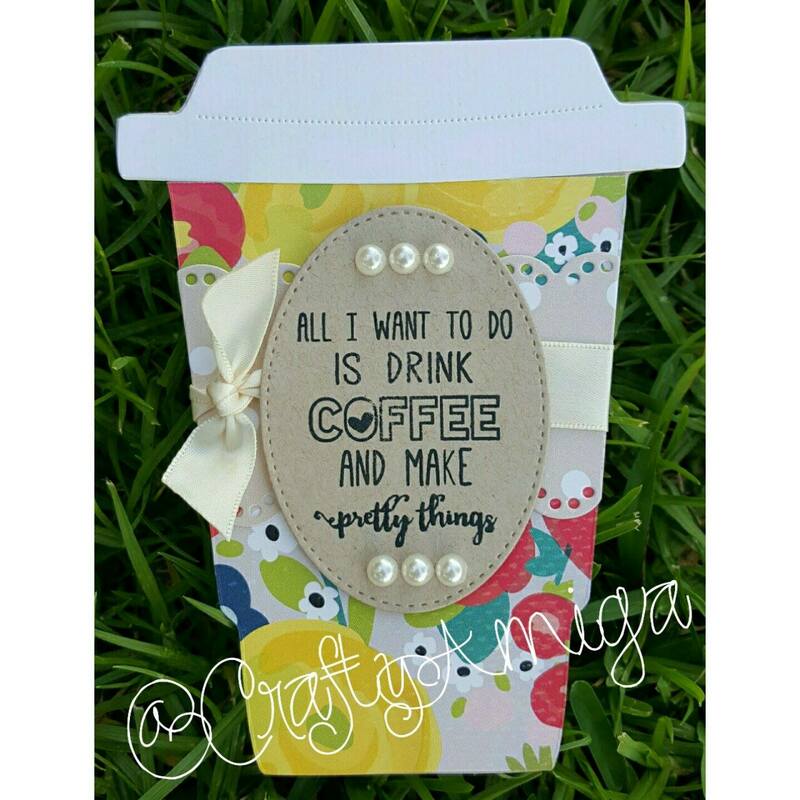 This sentiment is a must-have for all the coffee-loving crafters out there! I love your shaped card...genius! Love your stamp! So happy to be part of the Hop and see all the beautiful work being created by these women!!! Linda tu tarjeta! Como otros proyectos que he visto! Me encanta! Love, love the coffee sets, your card is beautiful ! Hola me encanto tu tarjeta en forma de vaso de cafe , esta genial, saludos. This is my favorite of the coffee sentiments because it really sums me up in one sentence lol! LOVE the coffee cup card, it's really FABULOUS! it's a fabulous card, perfect for this release! I love this sentiment stamp! Great make! Oh this is such a cute coffee card! The shape and paper are adorable and the sentiment is great! Love it!! Wooo Leticia, que linda tarjeta!! una tarjeta muy original y con colores preciosos!! digna de admirar! !